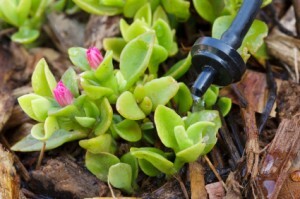 Drip irrigation systems are a very efficient way to water your garden. They are easy to install and very effective at getting water right to the roots. 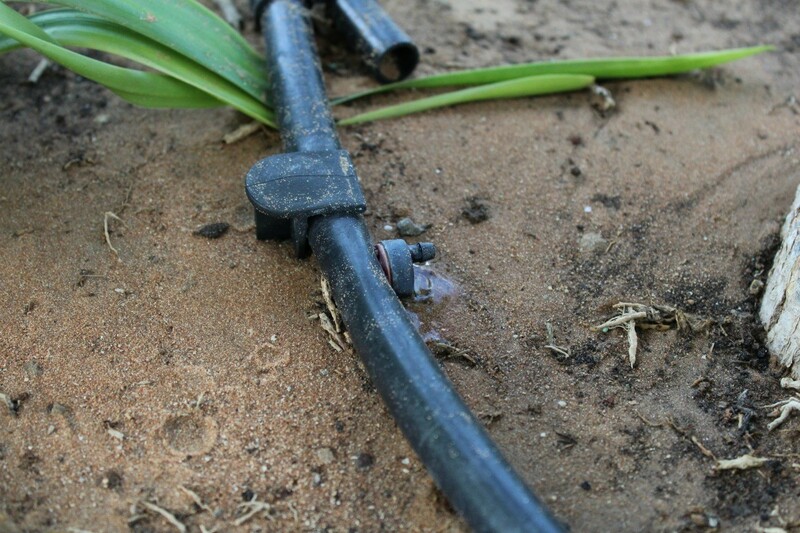 This is a guide about installing a drip irrigation system. Most gardeners have hoses that leak. At times I've moved around 200 feet of hose, watering my flower beds and garden, invariably all the pulling creates weak hoses. I take those old hoses and add more holes along the whole length of hose about a foot apart. You can test and add holes if you think you need to, leaving a piece without holes about a foot and a half long at your female end. You then get a plug end for the male end at local hardware store. I then take the hose to an individual flower bed, or garden rows, whichever you're irrigating. Take the hose and bury it around your plants about 3 inches down. I usually snake the hose or hoses, depending on the size of each bed. I put it around my plants in ornamental beds and in the garden I run it down the side of the rows. Leave the female end out of the ground enough that you can work with it because now you can take your watering hose and attach it at the female end, turn on the water and let your "soaker hose" do its job. I personally have poor memory so I set a timer, you can also test the length of time here to determine how long to leave the hose on. I hope this is helpful to others, have a great day! This is a guide about using PVC pipes to water your garden. PVC pipe to bring the water to your soakers hoses or with holes drilled in them can make sturdy soaker pipes that can last for years.